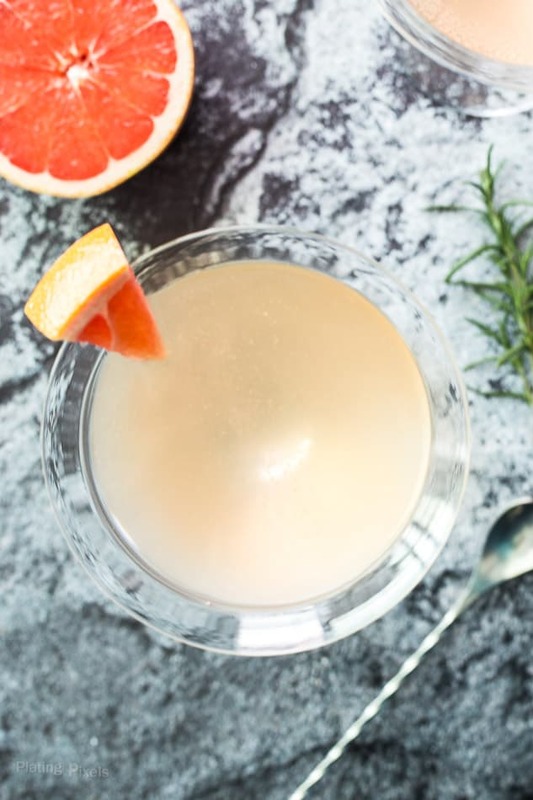 Feel classy with this Rosemary Grapefruit Gin Martini. Homemade cocktail with gin, rosemary simple syrup, fresh grapefruit juice and sparkling bitters. This is a sponsored post written by me on behalf of Bundaberg Brewed Drinks. I’ve become a bit infatuated with fresh herbs since starting a potted garden in my patio. 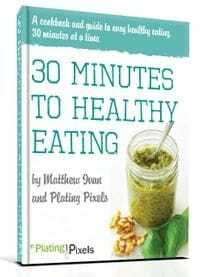 Herbs like rosemary, basil, thyme, oregano, cilantro and peppermint are all easy to grow and very handy in the kitchen. Not only for savory recipes, but desserts, drinks and cocktails. 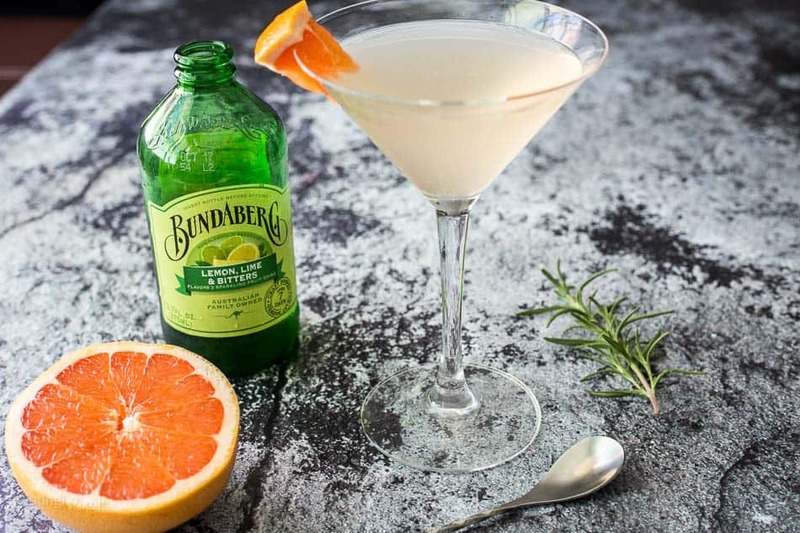 A bit of fresh rosemary and a few ingredients (including a craft brewed fruit drink) is all you need for this Sparkling Rosemary Grapefruit Gin Martini. Besides a fresh herb garden, I like to keep basic bar essentials stocked. It comes in handy when hosting friends or family. A unique drink or cocktail is a welcoming way for your guests to settle in. Beyond the basics, I’ve been experimenting with craft alcohols and mix-ins. That’s why I was excited to learn about Bundaberg Brewed Drinks. They’re craft-brewed sparkling drinks, and a classy addition to the standard soda and juice often stocked in bars. While most drinks in the stores are factory mixes that take an hour or less to make, Bundaberg meticulously craft-brews their drinks between three days and and week depending on the variety. 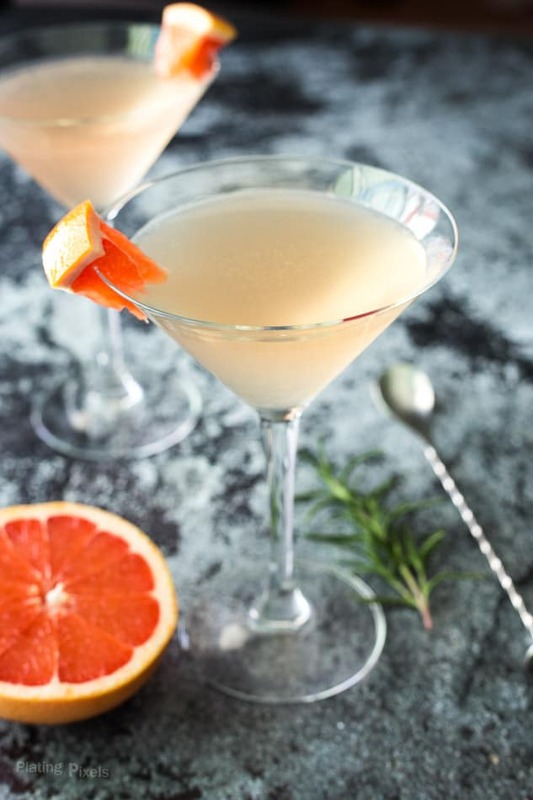 This literal brewing process creates exceptional taste perfect for unique cocktails like this Rosemary Grapefruit Gin Martini. These non-alcoholic drinks can also be enjoyed on their own. The Bundaberg Ginger Beer family recipe has been handed down between generations and uses locally grown ginger and sugarcane. They even have their own ginger farm to control the quality and taste. There’s 8 flavors available, including Ginger Beer, Root Beer, Lemon Lime & Bitters, Blood Orange, Guava, Pink Grapefruit and Peach. For this recipe I was able to find the Lemon Lime & Bitters flavor, and you could easily substitute it with the Pink Grapefruit for even more flavor. The cocktail starts with a homemade rosemary simple syrup. It’s an easy mixture of sugar, water and rosemary. You can make this in bulk and stock as well. Stir it with fresh squeezed grapefruit juice, your favorite gin and top with Bundaberg Lemon Lime & Bitters. Then garnish with a grapefruit wedge. 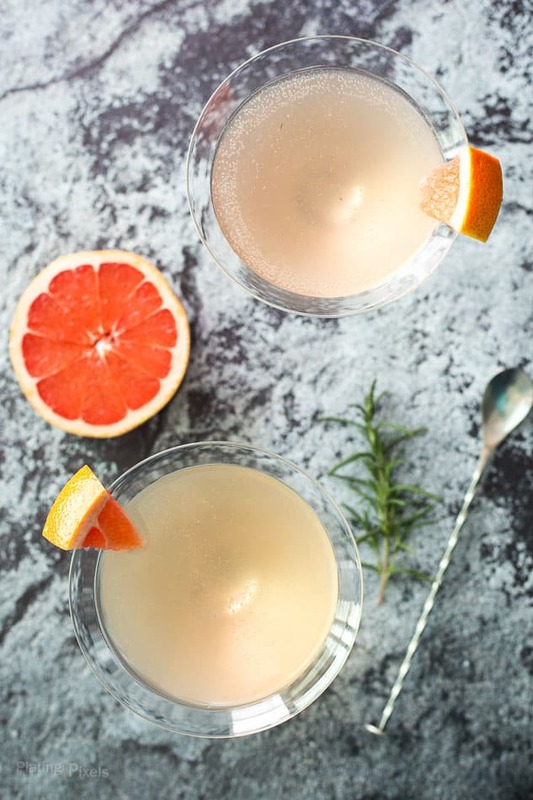 This Sparkling Rosemary Grapefruit Gin Martini is a perfect way to welcome and wow your guests at your next gathering. Classy Rosemary Grapefruit Gin Martini made with gin, rosemary simple syrup, fresh grapefruit juice and sparkling bitters. Place water, sugar and rosemary in a small pot over medium heat. Cook until sugar is dissolved, stir, then simmer on low for 10 minutes. Remove from heat and cool completely, discard rosemary. You’ll have extra simple syrup leftover for additional drinks. Add 2 tablespoons simple syrup, grapefruit juice and gin to a cocktail mixer filled with ice. Stir vigorously until chilled. Pour liquid into 2 martini glasses and top each with Bundaberg Lemon Lime & Bitters. Garnish with grapefruit wedge. For additional flavor, make simple syrup at least a day before. Store in fridge with rosemary sprig until ready to serve. I’m always looking for a great cocktail recipe because summer is the perfect time to enjoy. Love this! I love gin with herbs too! And grapefruit added to the mix? I am in love! This sounds like such a perfect cocktail, I can’t wait to try it. Looks so delicious and refreshing! Definitely a cocktail I’ll serve at my next gathering! 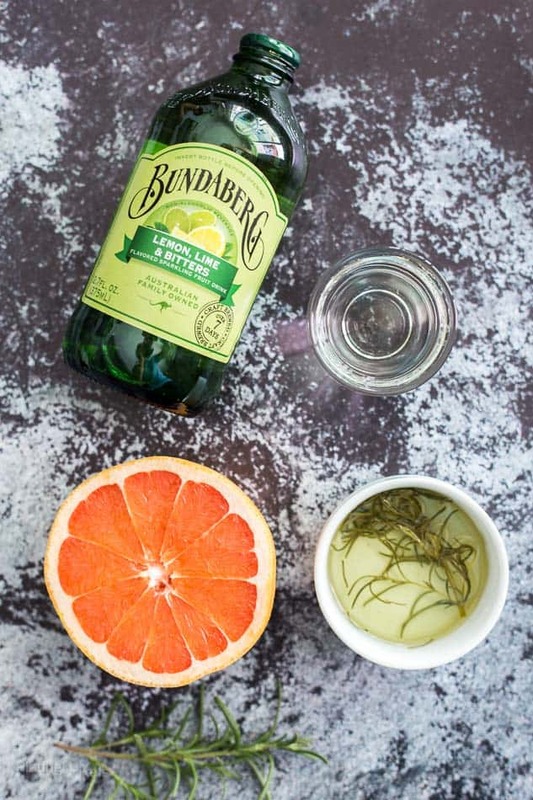 I love the various flavours you can get in the Bundaberg ginger beer range, and what better way to ustilise the drink than in a cocktails. Looks delicious!